Learn to tie knots, set up a tent, shoot a bow and arrow, cook a meal on a campfire, send a secret code to a buddy, build a birdhouse, play Ultimate, hike and so much more!!! For over 80 years, Cub Scouts have been having the time of their lives making new friends and learning new things in an environment designed to help them succeed. From building his own pinewood derby® car to learning how to roast the perfect marshmallow with his best friends at a family campout, your child will LOVE being a Cub Scout. So if he’s in the 1st through 5th grades, or 7 to 10 years old, then it’s time for him to have some fun … with the Cub Scouts. 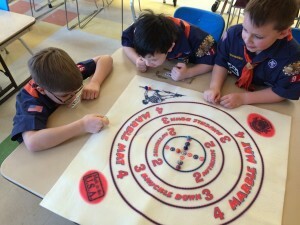 Cub Scouting means “doing.” Everything in Cub Scouting is designed to have the boys doing things. Activities are used to achieve the aims of Scouting—citizenship training, character development, and personal fitness. Many of the activities happen right in the den and pack. The most important are the weekly den meetings and the monthly pack meetings. 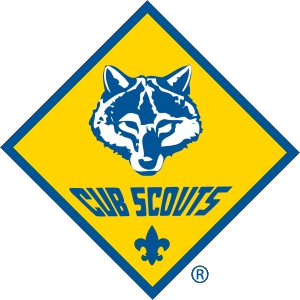 Pack 91 meets monthly on Sunday, usually at 3pm. In Cub Scouting, boys and their families have fun and adventure in a program that builds character and instills values. Cub Scouting embraces the values of the Scout Law, encouraging Scouts to be trustworthy, loyal, helpful, courteous, kind, obedient, cheerful, thrifty, brave, clean, and reverent. Scouts learn these values in all areas of the Cub Scout program – all the while having a great time with their friends and families!